Documentary and short segment pro David F. Sandberg has adapted his 2013 short film ‘Lights Out‘, which ran for two minutes, as a feature and we’ve got the first trailer for it. The short gained viral status the year it debuted so a longer version of the concept was a natural next step. 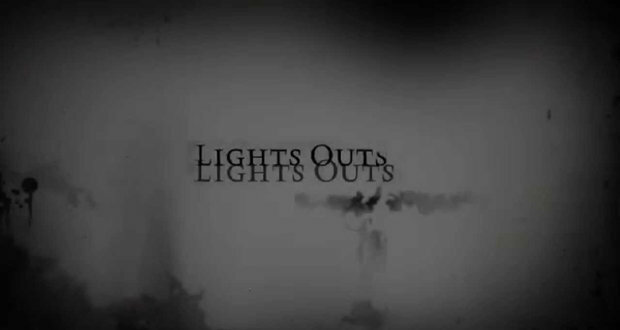 ‘Lights Out‘ tells the story of Rebecca (Teresa Palmer) and her younger brother as they’re tormented by a spirit that draws its power from darkness. Right out of every child’s nightmares, right? So maybe a night light won’t be such a bad thing for kids after the adults watch this movie, I may or may not be needing my own nightlight, as well. Alexander DiPersia, Billy Burke and Maria Bello also star in the thriller. As if the thought of children dealing with this horror isn’t bad enough, we learn it’s a poltergeist tied to an event in their mother’s past that feeds on fear. What’s worse than being scared of the dark and then having to try to not be afraid of that? Nothing. I can think of nothing to top that. The flick debuts July 22, you can watch the trailer now, but if you can’t sleep in the dark after this, it’s not my fault. This entry was posted on Monday, March 28th, 2016 at 1:55 pm	and is filed under Film, News. You can follow any responses to this entry through the RSS 2.0 feed. You can skip to the end and leave a response. Pinging is currently not allowed. « ‘The Conjuring 2’ Trailer Brings The Chills!! !